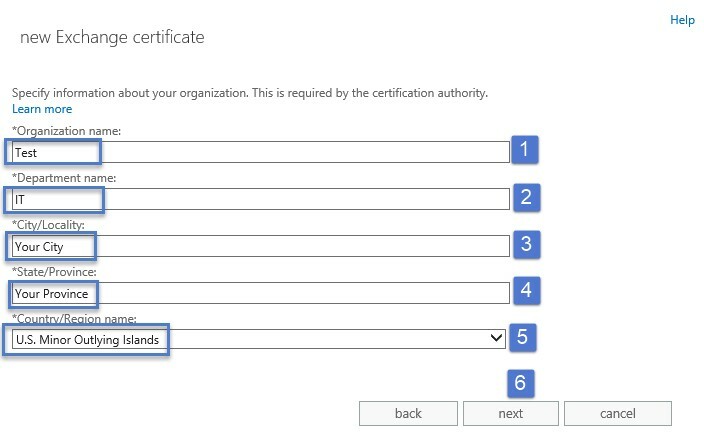 This guide shows how to generate a new certificate for a 3rd party company like DigiCert, GoDaddy etc. 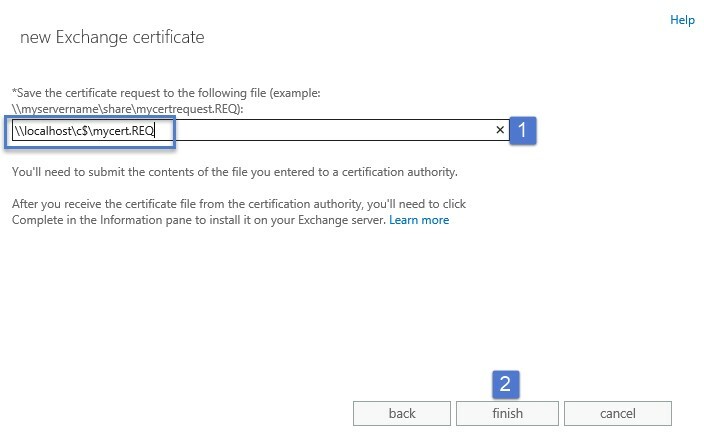 and how to complete the request and assign services to the certificate. 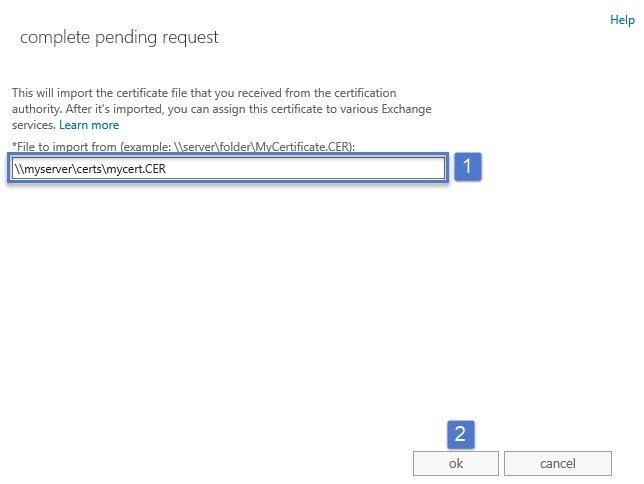 Step 2 -> Click on Certificates. Step 3 -> Click the + button to start the process. Step 1 -> Leave the default option selected. 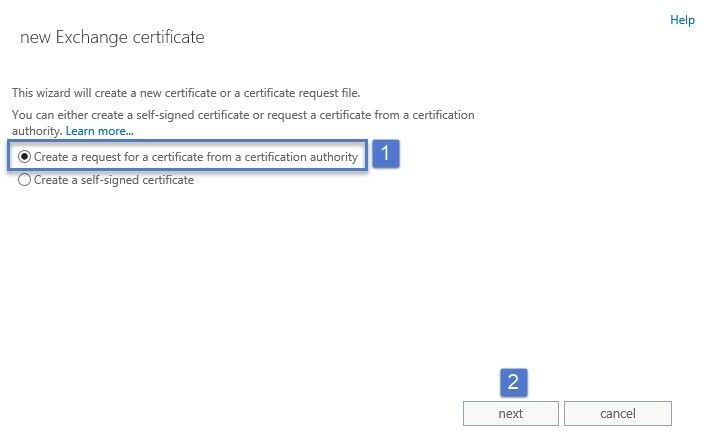 Step 1 -> Type in the Friendly Name for the certificate. 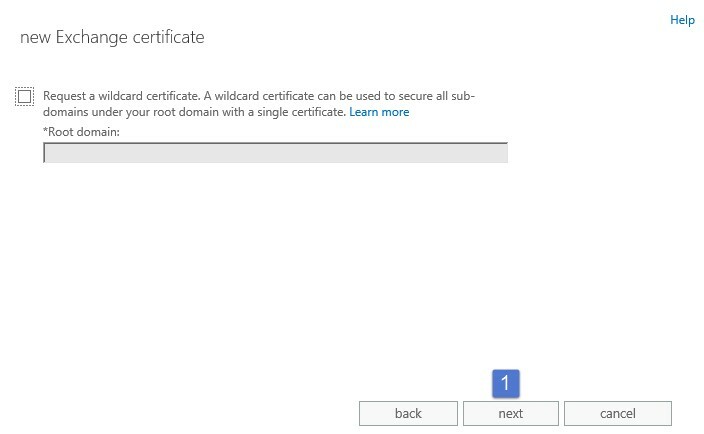 Step 1 -> We are not requesting a wildcard cert so leave that option and click Next. 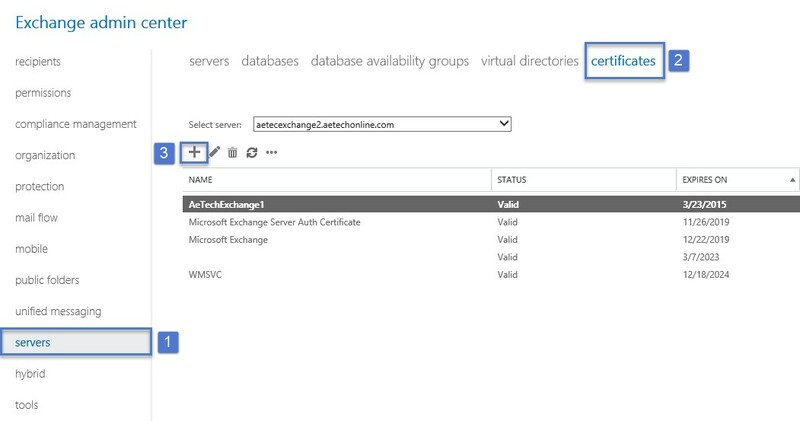 Step 1 -> Click on the Browse button to select which server you want to store the request on. 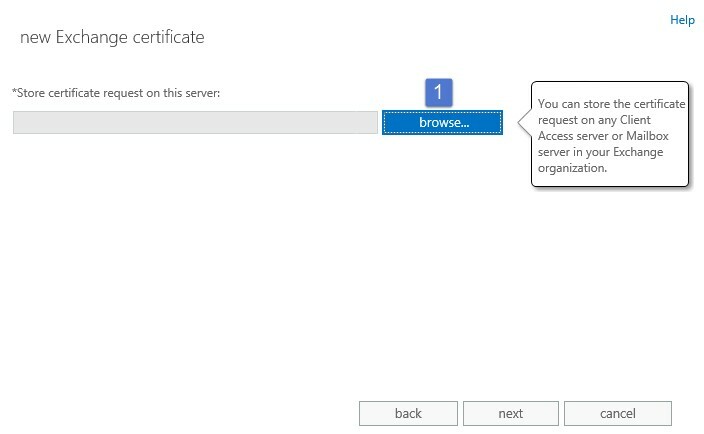 Select your server and then click the Ok button. 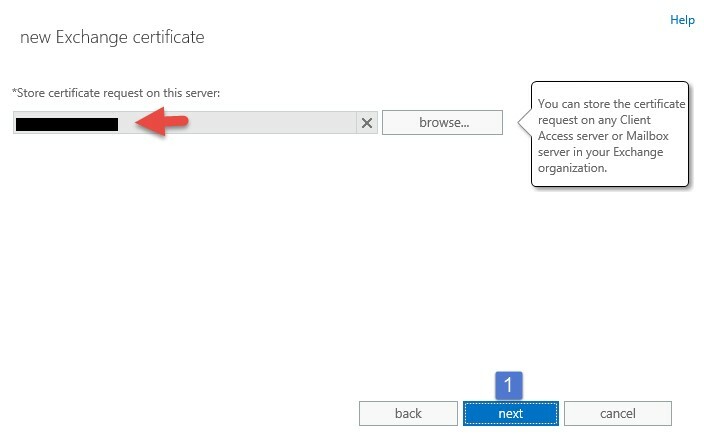 The server you selected in the previous step will now show in the box above. Here is where you need to make sure your names are correct. 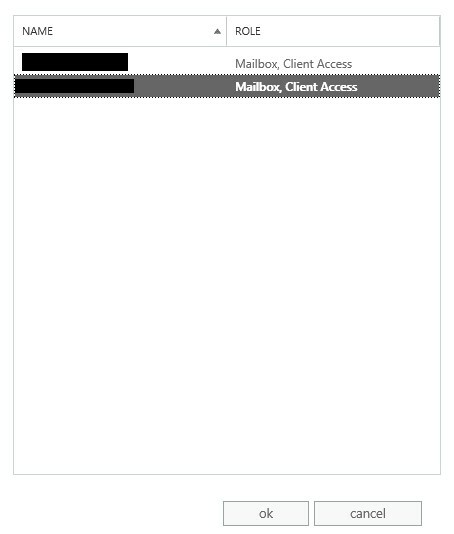 For this exercise I made mine mail.domain.com, internally and externally. Step 1 -> Once you have changed the names a list of names appears above, you can remove or add as you wish. Step 1 -> Type in the Organization Name. Step 2 -> Type in the Department Name. Step 3 -> Type in your City Name. Step 4 -> Type in your State/Province Name. Step 5 -> Select your country. Step 6 -> Click Next. Step 1 -> Specify the location where the Request will be saved as you will need to upload this file to the 3rd party company. 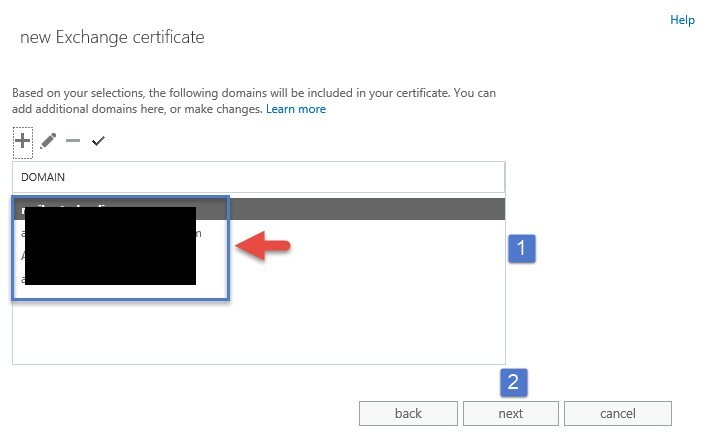 Once the screen above has closed the Certificate page will refresh and then show the above. 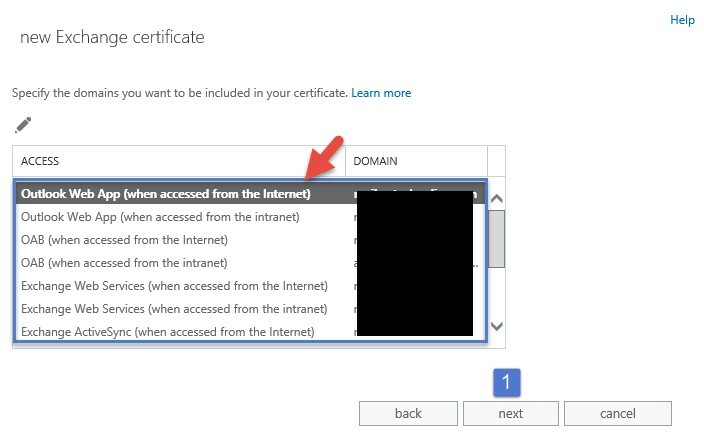 Step 1 -> Input the location where you downloaded the certificate that you received from the company you chose like DigiCert, GoDaddy etc. and then click the okay button. 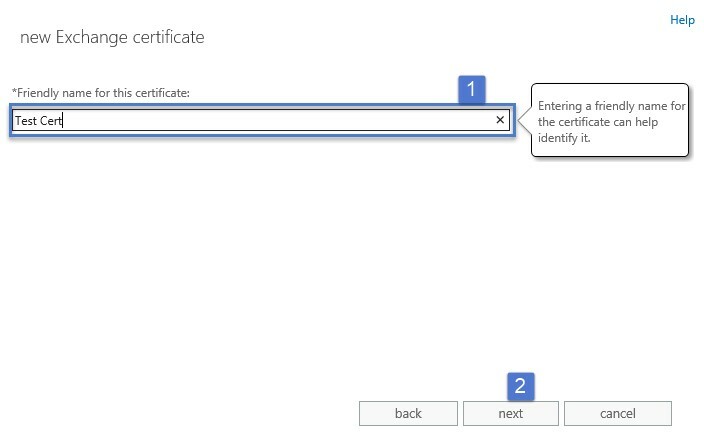 Once this has completed, double click the cert or click the pencil and then go and assign services to your certificate. Lastly, perform an IISRESET or reboot the server.